A soldier’s room has been kept as a time capsule since it was first discovered by current owner Daniel Fabre. When Daniel Fabre bought the house at an auction, he knew how old the house was and who had occupied it before him, but he wasn’t ready to discovered the treasures from over a century ago. French soldier Hubert Rochereau had occupied the house before the first world war, and never made it back following his death in the war, almost a century ago now. Rochereau’s parents made the room into a memorial to him after learning of his death, arranging photos of him and his medals on display. 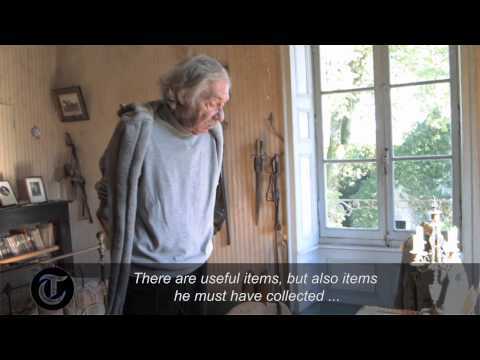 With all of Rochereau’s possessions still in his room as he left them, Fabre now keeps the room in the condition he found it in, to serve as a time capsule and often holding mini tours for people to see it for themselves.